Sometimes, periodontal surgery may be needed to treat certain gum diseases and conditions, such as gingivitis or periodontitis. This type of surgery is commonly known as gum surgery. In this article, we take a look at what people can expect from periodontal surgery, the conditions it can treat, and what the recovery time could be. What conditions can gum surgery treat? Periodontal surgery can treat many conditions, including gingivitis. Gum diseases such as gingivitis and periodontitis may require surgical treatment. Gingivitis is a mild form of gum disease that can cause gum redness, swelling, and bleeding. Most often, gingivitis occurs due to poor oral hygiene, plaque, and tartar buildup. Professional treatment can reverse the condition. Periodontitis is a more severe form of gum disease in which gingivitis has worsened and advanced, leading to an inflammatory response that destroys bone and tissues. During this inflammatory process, the gums begin to separate from the teeth. This causes spaces called pockets to develop, which in turn trap bacteria and lead to infection. As a result, tooth loss and bone damage can occur. Which kind of surgery a dental surgeon performs depends on the type and severity of the gum disease. Before surgery, a dental surgeon might give the gums a deep clean. One procedure known as deep scaling can remove tartar and bacteria from teeth and gums. Another procedure known as root planing can smooth the surfaces of the roots of the teeth, meaning that there are fewer places for tartar and bacteria to build up. This procedure also removes any tartar that is on the root. Deep scaling and root planing usually occur at the same time. Flap surgery is especially helpful for people who have tartar deposits in deep pockets. The procedure involves lifting the gums off of the teeth to remove tartar buildup. After the surgeon has cleaned the area and removed the tartar, they will stitch the gums into place to fit around the teeth. Sometimes, the bone may require reshaping during this procedure. When the bone that surrounds the root of the tooth is damaged or destroyed, a person may need a bone graft. This procedure involves replacing the damaged bone with new bone. This bone may be the person's bone, a manufactured bone, or donated bone. The goal of bone grafting is to hold the tooth in place and help it to regrow. During this procedure, a dental surgeon will place a small piece of mesh-like material between a person's bone and gum tissue. The material prevents the gum from growing into space where bone should be, allowing the bone and connective tissue to regrow. The type of surgery performed will be based on several factors, such as the condition of the gums. A lowered gum line, known as gum line recession, is caused by the loss of gum tissue and may require soft tissue grafting to reduce the risk of further damage. During this procedure, a dental surgeon typically removes tissue from one part of the body and re-attaches it to the area where the gum has receded. The tissue often comes from the roof of the mouth. Tissue grafting not only reduces the risk for further damage but also covers any exposed roots. Laser therapy: Although no current evidence fully supports laser therapy, some dentists use it to reduce the size of pockets and restore damaged connective tissue. Tissue-stimulating proteins: This procedure involves using a protein-containing gel to stimulate bone and tissue growth. Before a person has a gum surgery, a dentist will perform a pre-operative exam to make sure it is safe to have surgery. Depending on the type of procedure, a range of things may take place. Most gum surgery procedures take around 2 hours to complete. In some cases, the surgery will require a person to be asleep or partially asleep during the procedure. Other times, the surgery only involves the use of a local anesthetic to numb the gums. The injection of the numbing medication can be mildly uncomfortable. During the procedure, the dental surgeon uses sterile equipment, including instruments and drapes, to lower the risk of infection. After making small incisions or cuts along the gum line, the dentist will lift the gums away from the teeth. This allows the dentist to see the roots better so that they can remove and clean away any tartar, plaque, or infection. Following this deep cleaning, the dental surgeon can perform other procedures, such as gum reshaping, bone regeneration procedures, or other planned procedures. Once the planned dental surgery is complete, the surgeon will stitch the gums back into place, using fine thread stitches. The dentist will remove the stitches 7 to 10 days after surgery. Antiseptic mouthwash may help to prevent infection after surgery. Typically, people will require pain relief medications in the days after gum surgery. Again, the dentist will talk to the person about any recommended drugs before they leave the office or surgical center. The dentist will schedule an appointment to return to the office for 1–2 weeks time. During this appointment, the surgeon will check how the gums are healing and, if required, remove any stitches. A person's gums will look and feel different after surgery. The gums and teeth will heal, tighten, and become firmer and stronger. 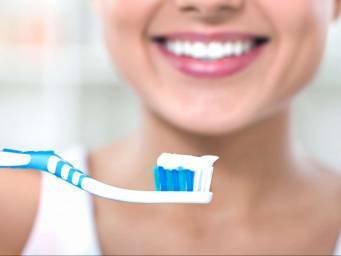 Some people may have tooth sensitivity to hot or cold temperatures and may find relief by using desensitizing toothpaste. Dentists will discuss a follow-up schedule to maintain good oral health in the future. Dental procedures may or may not be covered by insurance, so speaking with an insurance carrier to discuss dental benefits is essential in determining expected out-of-pocket costs. On average, treatment of gum disease cost ranges from $500 to $10,000 depending on the type of surgery. Can gum disease be prevented? Since gum disease is caused by bacterial overgrowth, plaque, and tartar buildup, proper oral hygiene is usually effective in preventing and reversing the condition. In most cases, seeking regular dental care accompanied by brushing and flossing two times a day is enough to prevent gum disease from occurring. If left untreated, gum disease may lead to the development of a variety of health problems, such as cardiovascular disease, diabetes, and pre-term, low-birth-weight babies. Gum disease can also become a serious health condition affecting the teeth, gums, and bones, leading to infection and bone and tissue death. This may require extensive surgery to repair and treat the condition. Reducing risk factors, maintaining a good oral hygiene, and keeping routine dental appointments can reduce the risk and severity of gum disease.